Dead Sea among the finalists of the "New Seven Natural Wonders"
Recently, a panel of experts named the finalists for the vote of the "New 7 Wonders of Nature". Among them, the Dead Sea, which belongs to Jordan, Israel and the Palestinian territories. The so called "Sea of Salt" is a 600 square kilometer large lake with no outflow, which is fed by the Jordan River. The average salinity is about 33%. 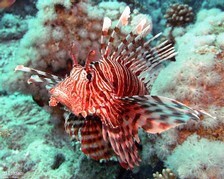 The Dead Sea is classified as protected area and extremely threatened. One serious problem is the increasing water consumption of the surrounding population and industry. 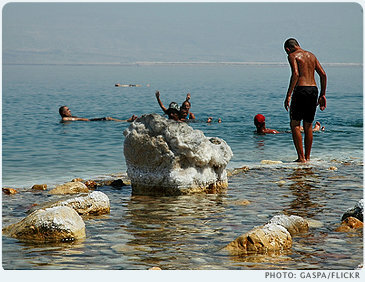 Because of diversion of incoming water from the Jordan River the Dead Sea is continuously shrinking. According to actual studies the water table is falling annually by about one meter. Currently, the water level is already below -415 meters.